About 400 young Marylanders, ranging in age from 14 to 17, celebrated their graduation from the Maryland Conservation Jobs Corps, marking the 10th anniversary of this Maryland Department of Natural Resources program managed by the Maryland Park Service. 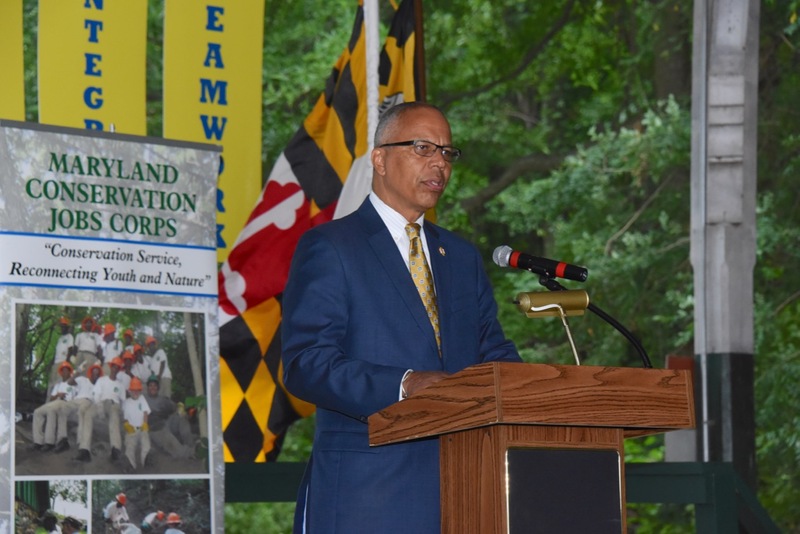 In honor of the students’ achievements this summer and the enduring success of the environmental career and conservation program, Maryland Lieutenant Governor Boyd K. Rutherford served as the featured keynote speaker at the graduation ceremony at North Point State Park in Baltimore County. Maryland Conservation Job Corps members commit their summer to working in state and local parks, taking part in habitat and facility restoration, environmental education programming and trail improvement projects. They engage in tasks that benefit Maryland communities and public lands. As part of the program, members participate in outdoor activities such as camping, canoeing and wildlife observation. In addition to gaining experience with useful career and job skills that include basic construction and landscaping, they also learn about environmental stewardship and public service. Lt. 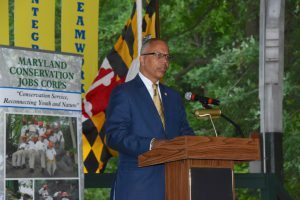 Governor Rutherford, who has an extensive management background in both state and federal government, expressed his appreciation for the team effort and perseverance it takes to keep large public entities like Maryland’s vast network of 72 state parks running smoothly. Also addressing the graduates were Maryland Natural Resources Deputy Secretary Joanne Throwe and Maryland Park Service Superintendent Nita Settina, who helped mentor several crew members this summer.